Whitened without chlorine. 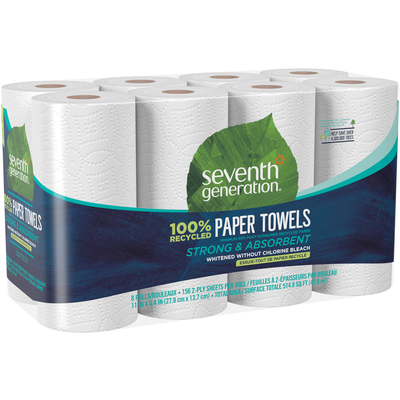 2 ply for absorbency and strength Convenient 11" x 5.4" sheets are 'right size' to minimize waste. Hardworking paper towel absorbs spills quickly, even when wet. Whitened without chlorine. No added dyes or fragrances. Two ply for absorbency and strength. Convenient 11" x 5.4" sheets are "right size" to minimize waste.